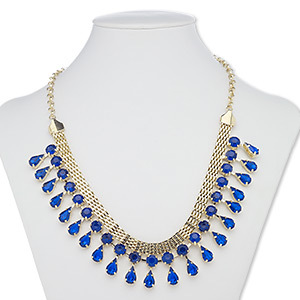 Necklace, plastic coated stainless steel, blue, 5-strand choker-style, 18-inches. Sold individually. 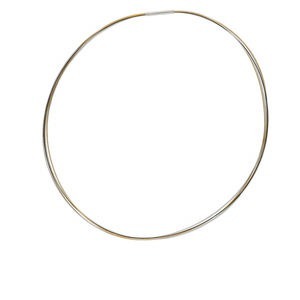 Add a pendant or large hole accent bead to these light and flexible 18-inch long chokers, or use as is. 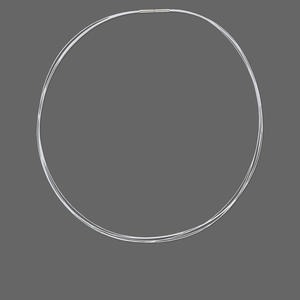 Each choker is a bundle of five color-coated wires 1mm in diameter. Clasp will fit through a bead with a 2.5mm hole size. To open clasp, first push clasp together, then twist and finally, pull clasp open. 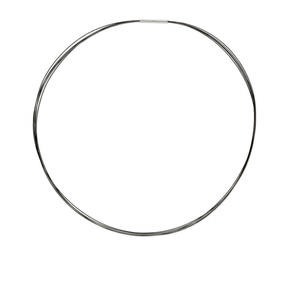 Necklace, plastic coated stainless steel, silver, 5-strand choker-style, 18-inches. Sold individually. 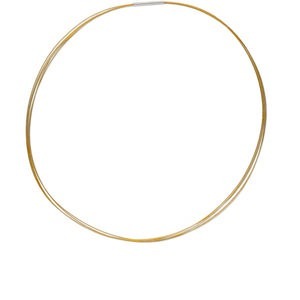 Necklace, plastic coated stainless steel, gold, 5-strand choker-style, 18-inches. Sold individually. 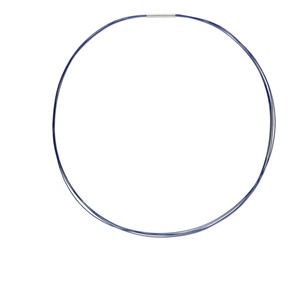 Necklace, plastic coated stainless steel, multicolored, 5-strand choker-style, 18-inches. Sold individually. 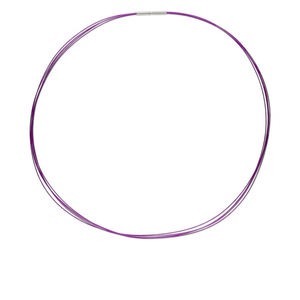 Necklace, plastic coated stainless steel, purple, 5-strand choker-style, 18-inches. Sold individually. 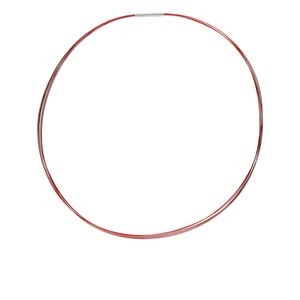 Necklace, plastic coated stainless steel, red, 5-strand choker-style, 18-inches. Sold individually. 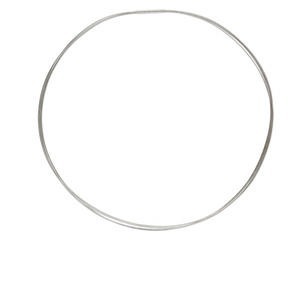 Necklace, plastic coated stainless steel, white, 5-strand choker-style, 18-inches. Sold individually. 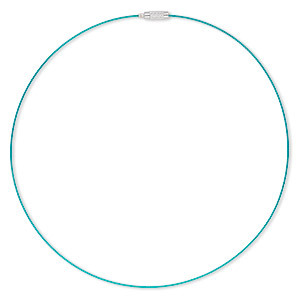 Necklace, vinyl-coated stainless steel and imitation rhodium-plated steel, turquoise blue, 1mm round, 18 inches with barrel clasp. Sold per pkg of 6. Necklace, porcelain / coated acrylic / antique brass-plated steel, green / copper AB / brown, 14x14mm cube and 29x26mm fluted oval, 18-inch 4-strand cotton cord with lobster claw clasp and 1-1/2 inch extender. Sold individually. 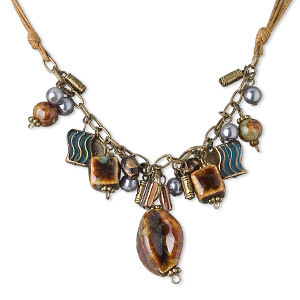 Necklace, acrylic with gold-finished steel and "pewter" (zinc-based alloy), lapis blue, round and teardrop, 18 inches with 3-inch extender chain and lobster claw clasp. Sold individually.